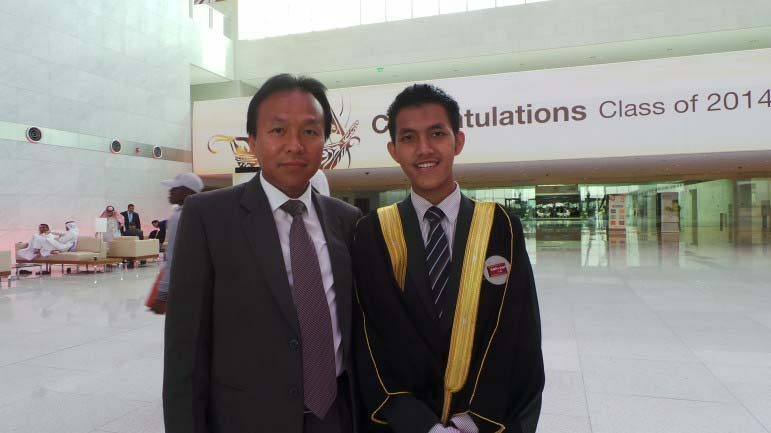 Muhammed Zulfikar Rakhmat, a 21-year-old Indonesian student who recently graduated from Qatar University, is no stranger to adversity. The expat was born with a severe movement disorder in both his arms, which makes it difficult for him to use his hands for soft-motor movements like writing and picking up items. The condition also causes him to stammer, making his pronunciation unclear. Though the disability put his future in doubt for many years, Rakhmat said his family’s decision to move to Qatar, where schools were accommodating of his disorder, has changed his life. Rakhmat’s story recently struck a chord with several college students here after his graduation picture (which entailed meeting the Emir) was published on the Facebook page Humans of Qatar University, a picture that received more than 700 likes and 68 comments. 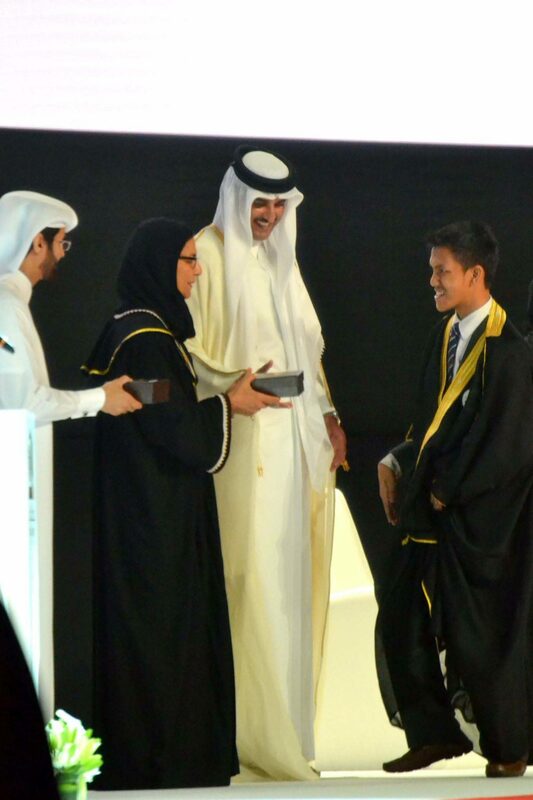 The expat graduated from QU with a Bachelor’s degree in International Affairs. His 3.93 grade point average helped him obtain a full scholarship, and he finished school in three and a half years instead of four. In an email interview with Doha News, Rakhmat said he felt honored and motivated by the support and positive feedback he received for that photo. He also shared stories about his past, his fight to educate others about people with disabilities and plans for the future. Over the past two decades, Rakhmat said he and his family have overcome an endless list of everyday struggles, including bullying by peers, school rejections, lack of access to public facilities and educating society on disability. When Rakhmat began kindergarten, he said he realized he was different from the other kids because it would take a lot of time for him to complete certain tasks. His parents initially evaded his questions about his condition, but told him what he was facing later on (his doctor said the disorder doesn’t have a name). School life was never easy for young Rakhmat. It was here that he remembers experiencing intense bullying from other students in and elementary school. He added that another form of bullying that he experiences to this day is when people question his ability to achieve his dreams. 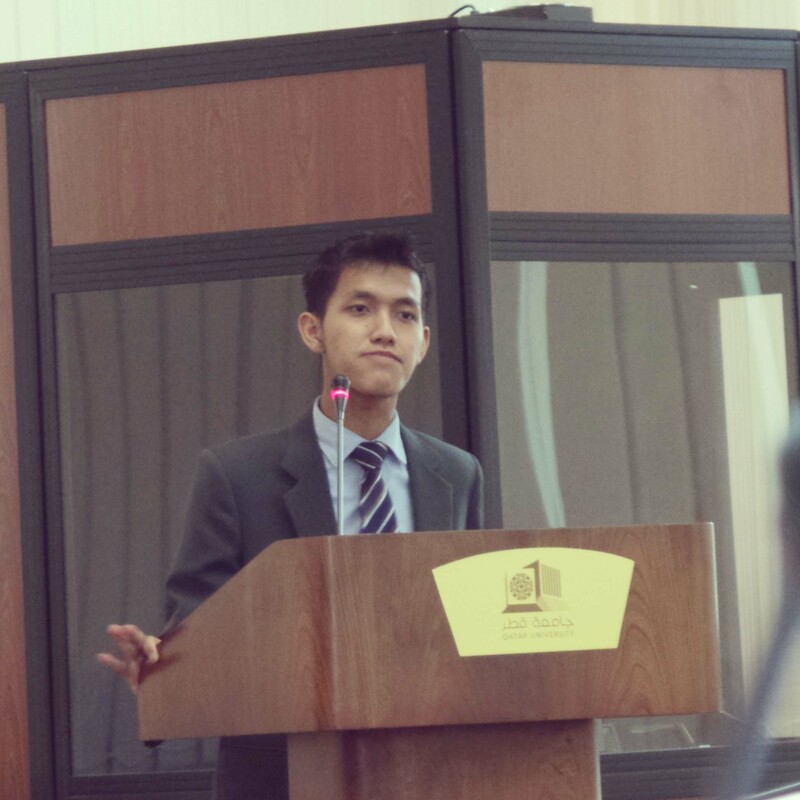 Growing up as the eldest in a family of five – including his doctor father, housewife mother and younger sister and brother in a small village in Indonesia – Rakhmat recalled how people would advise his parents to send him to a special needs school. Rakhmat said he had to undertake a series of special tests to prove he was academically capable to study with his non-disabled peers. After several months, he finally got placed in a prestigious Islamic school. But in planning for the future, Rakhmat said he had to think carefully about what universities to apply to, not just taking into account a school’s reputation or rankings, but whether it could accommodate his disability. The struggle to find an accepting school continued when his family shifted to Qatar in 2007, until Cambridge School Doha welcomed him to complete his IGCSE and A levels. Later, Rakhmat obtained a full academic scholarship to QU. He said that the best times as a student took place at the university, thanks to the accommodating teachers and helpful friends he came across. 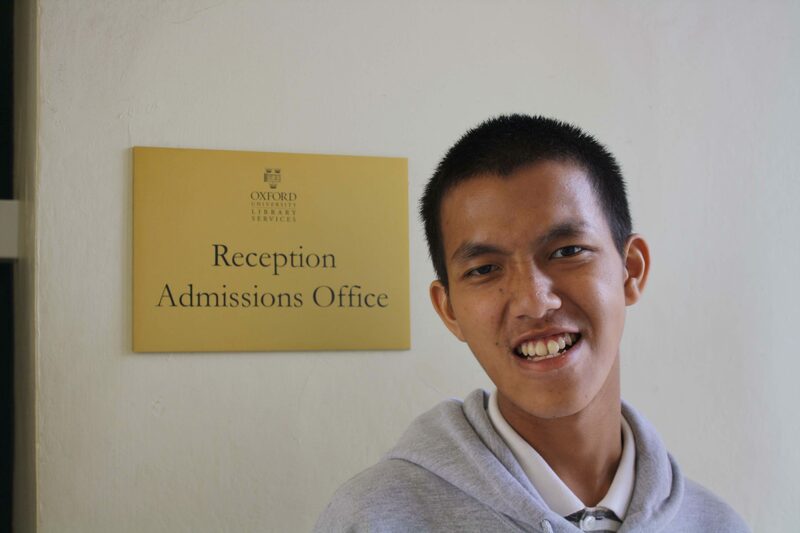 “To be honest, Qatar University was the most exciting and happiest moment in my academic life,” he recalled, adding that teachers and the special needs section worked with him to ensure he was allowed to use a laptop or provided a writer to help him with handwriting. His peers, knowing that getting around was a problem, often offered him rides to school, he added. While Rakhmat said his friends motivate him to move ahead in life, meeting new people has always been a challenge. But the expat also gives his disability credit for being his toughest teacher, because coping with it has taught him to not give up on his dreams. Additionally, Rakhmat’s inability to write has made him tech-savvy and improve his computer skills. The fact that he can’t drive or use any mode of transportation easily has spurred him to spend more time reading and learning new things, thereby expanding his knowledge on different subjects, ranging from politics to religion. While speaking to Doha News, Rakhmat remembered how he would be treated like a little kid by shopkeepers who refused to serve him on many occasions and other instances where taxi drivers would decline to take him home, thinking he had a mental problem. He added that he feels disability still remains a taboo subject within many cultures. However, Rakhmat said that in some societies, the perceptions are slowly beginning to shift. Zulfikar said he also feels that disabled people should not sit around feeling sorry for themselves, but instead take steps to prove the perceptions wrong and most importantly educate society. Rakhmat currently remains in Qatar, conducting research for an organization in Indonesia that focuses on disabled people in Palestine. His ultimate ambition is to become a professor and a researcher, and he hopes to pursue a Ph.D after his Master’s.